In the near future, how do you imagine yourself? Healthy? Fit? Or sat in front of the TV getting fat? For some, fitness is a concept which has always been elusive. They have their hopes pinned on a ‘tomorrow’ which hasn’t come yet but they like to believe that it’s just around the corner. Then there are those who have already managed to get their physique in shape but can’t help sweating for more. The point is that hardly any of us are satisfied with where we stand on the fitness scale. That being said, finding the motivation to get started or merely following the right track can seem like an impossible task at times. But luckily this isn’t a battle that needs to be fought alone. All you need is a personal trainer to help you achieve your fitness goals! Poor execution and ignorance are some common reasons why people get injured. Personal trainers have a better idea about our physique and how much strain it can withstand. They are aware of the ways in which an exercise should be executed and also have the skill to demonstrate it themselves. This, in turn, helps us to bring out the best kind of activity without subjecting ourselves to the risk of getting injured. A common argument that people give against hiring a personal trainer is that they charge exorbitant fees. This is both true and false. It is true if you are unwilling to give up on those unhealthy habits that cost you nearly as much. Think of all those expenses that you can comfortably cut down if you decide to walk down the road of fitness. All those late night booze parties, fast food that you pick up on your way to the office and not to mention the healthcare costs that you may have to incur at a later stage to undo the effects of those unhealthy practices. So is the cost of hiring a personal trainer really that much different in the grand scheme of things? There is no denying that when it comes to fitness, guidance and motivation are very difficult things to find. If you are lacking any of these, hiring a personal trainer will make a huge difference to your overall position. They can provide a proper structure to your workout regimes and lift off your shoulders the heavy burden of planning. In the initial stages of your workout, you may need to take guidance of your personal trainer regularly. Once you have become accustomed to the techniques that have been given to you, you can have larger intervals between your sessions with them. When you haven’t hired a personal trainer, you can afford the luxury of not turning up. But when your fitness trainer is waiting for you in the gymnasium there is a certain level of guilt involved in skipping the workout session. Your trainer becomes the person you look up to, the one who gives you two reasons to stay fit when you ask for one! They help us understand the importance of fitness and it is there for you to see that they only preach what they practice. It is personally painful to see them disappointed. When you hire professionals, you can expect there to be greater creativity and variety in your workout. A common reason why people tend to discontinue exercising is because of monotony. And as you may be well aware when monotony creeps into something, we begin to scavenge for reasons to give it a miss. Each person who takes on a fitness goal has a specific need in mind. Their fitness goal exposes them to a certain set of risks. In order to achieve a particular fitness goal, there is a particular diet that needs to be followed. For instance, a person who has a marathon coming up will need to work out in a different way than the one who wants to have a heavy physique. 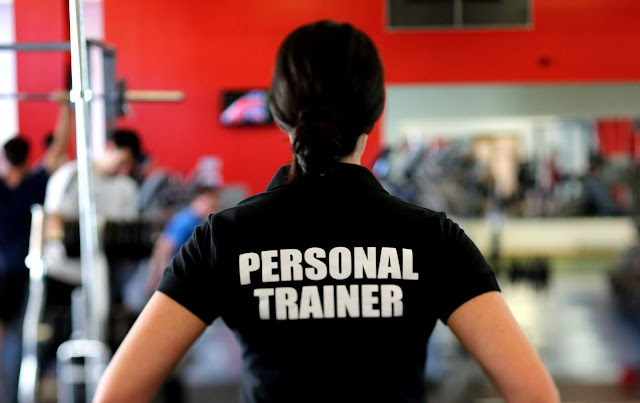 Hiring a personal trainer in London is like bringing on board a subject matter expert. They know the right exercises for us and their expertise ensures that when we are standing at the finish line of our fitness goals, we are not just healthier but also safe and sound too.